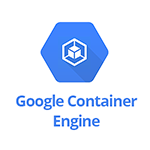 Use SignalFx to monitor Google Container Engine via Google Cloud Platform. Note: Stackdriver Monitoring may not be enabled by default for your cluster. To enable it so that these metrics can be retrieved by SignalFx please see this page. Number of Clusters - Number of clusters running in the project. Number of Containers per Cluster - List of counts of number of containers in each cluster. Mean and Max CPU Use Percent - List of mean and max percent CPU used for each cluster. Memory Usage(Bytes) - Memory usage in bytes for each cluster. Container Disk Usage - Container disk usage aggregated by cluster. Minor and Major Page Faults per Cluster - Minor and major page faults aggregated by cluster. CPU Percent - Percent of CPU used by a container. Memory Page Faults Count - Memory page fault counts grouped as major or minor. Disk Utilization Percent - Percent disk utilization by the container. Memory Utilization Percent - Percent memory utilization by the container. Reserved Cores - Number of reserved cores for the container. Disk Used per Container - List of disk usages, measured in bytes, for all containers. Percent Disk Used per Container - Percent disk used aggregated by container. Memory Usage per Container - List of memory usages, measured in bytes, for all containers. Percent Memory Used per Container - Percent memory used aggregated by container. Number of Containers - Number of containers in the pod. Minor Page Faults per Container - Rate of minor page faults aggregated by container. Major Page Faults per Container - Rate of major page faults aggregated by container. Number of cores of CPU reserved for the container. If no core limit is set, this will be zero. Cumulative CPU usage on all cores in seconds. This number divided by the elapsed time represents usage as a number of cores, regardless of any core limit that might be set. The percentage of the allocated CPU that is currently in use on the container. If no core limit is set, then this metric is not set. Total number of bytes of capacity on the disk identified by label device_name. Total number of bytes used on the disk identified by label device_name. Memory limit of the container in bytes. Memory usage in bytes, broken down by type: evictable and non-evictable. Number of page faults, broken down by type: major and minor. Number of seconds since the container started.